Okay, I’m sad to admit that Little is in pretty desperate need of new shoes (seeing how her only pair is too small). So, when Steph posted a giveaway for Vincent Shoes (adorable shoes, btw) I knew I had to sign up. Now I’ve finally gotten around to it. If you’re interested, the contest ends tonight, so hurry over to Adventures in Babywearing and sign up! Thoughtfully penned on June 1st, 2007 and generally concerning Blogging News, E, Shoes anyone? I *heart* shoes! This time around it is shoes for Little. Steph at Adventures in Babywearing is hosting a give-away for a $50 gift certificate to Vincent Shoes! I’m really liking the Bettys, Loves, and Martins. Only the Loves come in her current size, but I could always get one of the others in the next size up. If you have littles you should check Vincent out. Too cute! The girls over at the Pinks & Blues blog are also hosting a contest. They are giving away an adorable Dooney & Burke purse and a bottle of Dream Angels Heavenly Eau de Parfum by Victoria’s Secret. 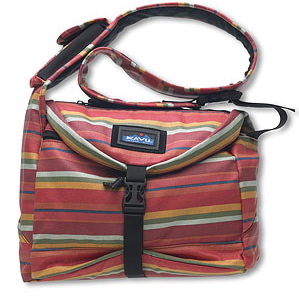 That is one cute summer bag! Shoes and bags; really, what more could a girl want?? 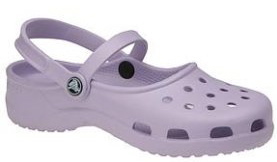 I’m considering jumping on the bandwagon and purchasing a pair of Crocs. For those of you who don’t know me well, I’m not really the bandwagon jumping type most of the time; thus, I’m a couple of years behind on this whole trend in footwear. 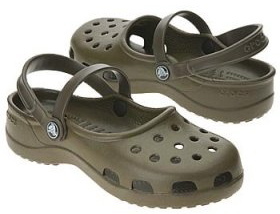 In fact, I’ve considered them about the ugliest thing you could put on your feet, and scoffed at the idea that they might be the most comfortable shoes on God’s green earth. But, I digress. 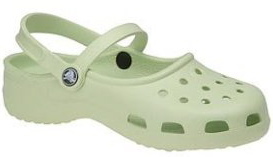 A couple of months ago my friend Michelle showed up at Bible study wearing an adorable pair of Crocs Mary Janes, and I haven’t been able to get them out of my mind. So, I’m trying to decide what color I would like to get. Do I go with the fun-loving lavender? The sassy celery? Or the good old standby – chocolate brown? Let me know which color you vote for in the comments. You are currently browsing the archives for the Shoes anyone? category.